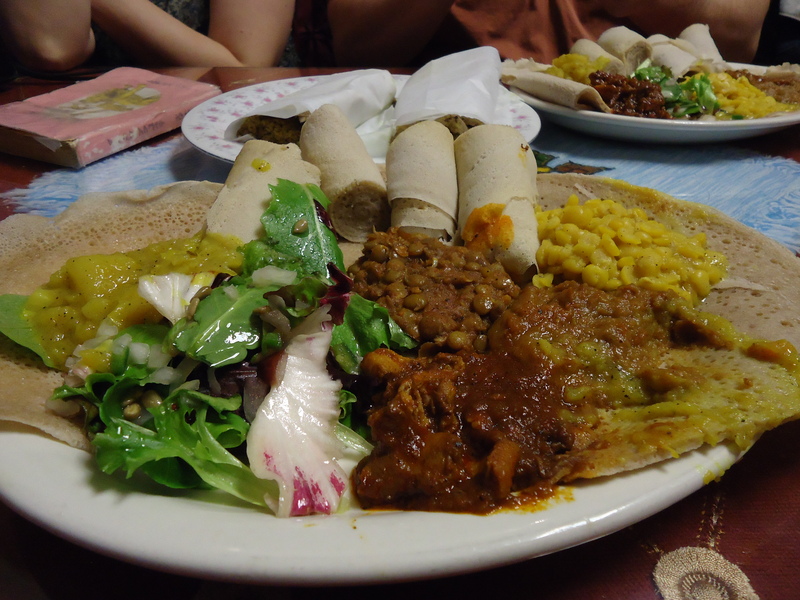 This was my first time trying Ethiopian food. We ate at this small little place called Tina’s Ethiopian Cafe. They had some pictures and artifacts from Ethiopia hanging on the walls. 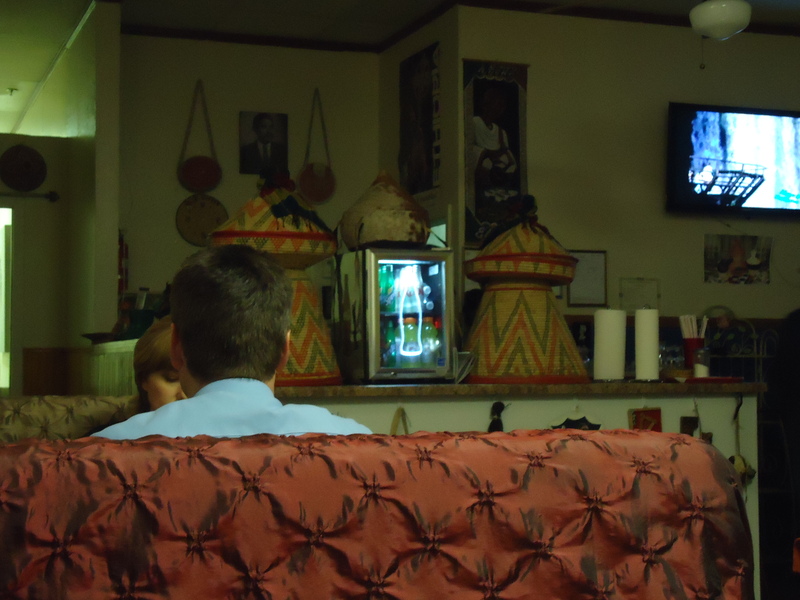 They also had a TV playing some goofy Ethiopian videos of people dancing on youtube (weird stuff too..). But the food was good. I got the combination watt with chicken and beef cooked with moderately spiced sauce and herbs. 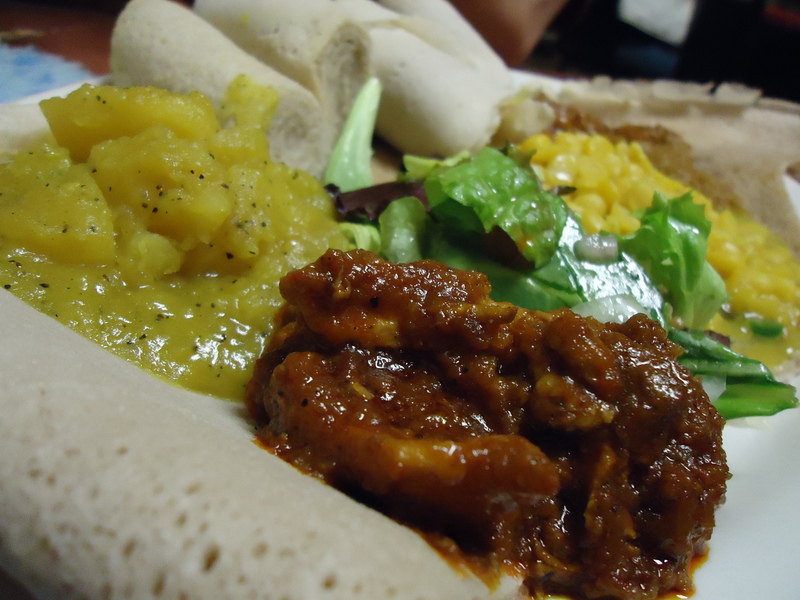 You eat with your hands and it comes with injera – a type of spongy bread used to help scoop up the food. It reminded me a lot of Indian food. I enjoyed this experience, but I’m ready to go back to Italian food. I miss my garlic and oregano.